It’s the most wonderful time of the year…as I put the final touches on my yearly field trip to Gettysburg. Trust me, I thought this would be kinda easy…but getting 25 high school kids from Los Angeles to the battlefield and keeping them engaged for several days is something of an effort - one which I rather enjoy, naturally. In the past, I have focused on the common experience of soldiers in the ranks (if there is such a thing as a “common” experience). I have also considered themes beyond the military action: public intersections with history in museums big and small, commemoration and memory, and with especial enthusiasm…consumer culture. This year I am dialing up the human element. The plan: each student will be assigned a specific soldier with some accompanying background about that person’s life: where they were from, what they did in the civilian world, their family…whatever personal information is available (they’ll get a trading card and everything). Then when we get to the spot on the battlefield where said soldier fought, I will reveal (I’m keeping this a secret until we’re on the battlefield) the fate of the soldier. Was he wounded? Was he killed or captured? Did he survive the war, and if so…what did he do later in life? The point of course is to remind my students that a war involves far more than just lines on a map. It requires the understanding of more than grand strategy and the efforts of a few dozen well-known generals. This war involved millions of individuals, and each of my students will get to know one. I hope that they connect with their soldier in some meaningful way - understanding that he was a living, breathing human with friends, family, and aspirations. 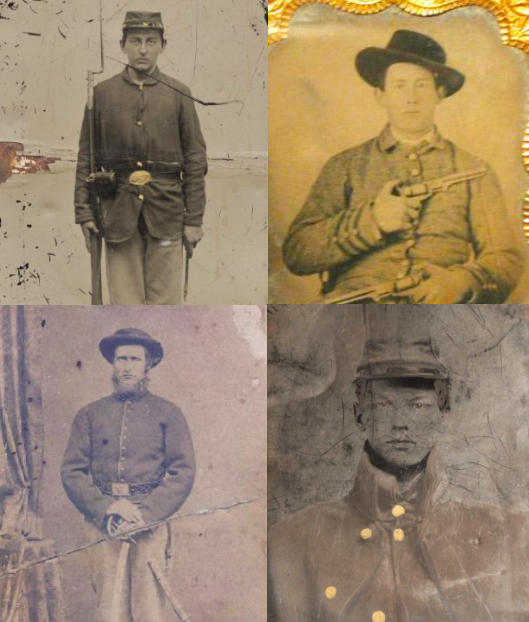 I want my students to acknowledge the humanity of their soldier and perhaps see that an individual who fought 150-ish years ago was not so different from them. I’ve done similar things in the classroom and the kids invariably respond with genuine emotion when they learn the fate of a particular soldier. I do this beyond the Civil War too - later this year I am having my Honors US History students read the letters of a man who would eventually fight in the Battle of Midway. I’ll be writing about these experiences (and my students reactions) both on the battlefield and in the classroom soon - so stay tuned.